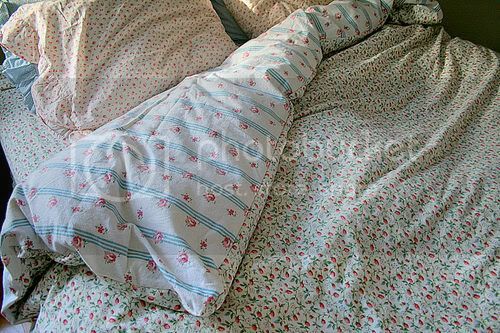 Make a Duvet out of Vintage Sheets! Nest Decorating has a duvet tutorial – by making it out of floral bed sheets! What a great idea for a hotter climate, or just summer. You could use a very lightweight filler. Would be adorable with Nick & Nora sheet patterns for childrens’ rooms. Gets the ol’ gears spinning in the head, doesn’t it? Check out local thrift stores for vintage floral patterns if you are into Shabby Chic. I have found some of the neatest things at Goodwill lately. I am seriously addicted.